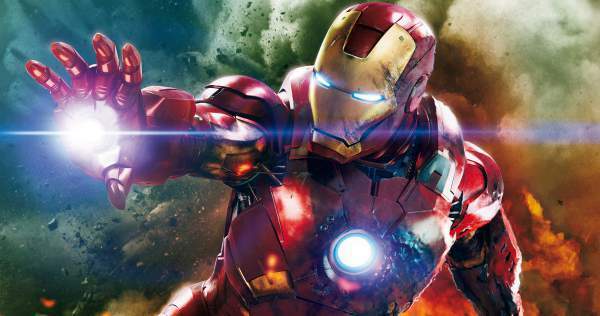 Iron Man 4: There are huge hopes for the Ironman sequel release. It’s the fourth installment of the Iron Man movie series. But, till now, it hasn’t been clear if we are definitely going to see Robert Downey Jr suiting up for the Marvel superhero. The titular character role is under speculations. Downey hasn’t given any positive responses regarding the IronMan fourth sequel. So, everything is in dark for now. Maybe he, himself, doesn’t know if he would be able to play the character once again as he is too busy with other films like Sherlock Holmes 3. It seems that he is not sure because of time constraints. However, fans are desperately looking forward to Marvel Studios to announce an Iron Man4. The studio hasn’t announced yet if they are going to continue with the franchise or not. Or some future character will take over the mantle. Marvel may decide to cast someone else. In July 2017, Downey said that he doesn’t want to wear out the IronMan character by portraying himself too many times. It has been more than 10 years since the release of the first film in the franchise. Also in 2016, Downey turned down the proposal for a solo Iron Man movie. He added that it’s not in the cards. Also, according to him, he has done his little Iron Man4 in Captain America: Civil War. It was in 2014 when Downey confirmed the fourth sequel to IronMan on the Ellen DeGeneres Show. However, in the recent times, he seemed unsure so he moves away from the topic. Related: Game of Thrones season 8. Still, there is a possibility for it to happen. However, if the sequel takes too much time to be announced, Marvel may continue it with a different actor and future timeline. But, it will take some time before rebooting the franchise with a new actor. So, there is no official confirmation or a definitive answer yet for Iron Man4. Following are the rumors floating on the internet. Robert Downey Jr is not willing to do it since he thinks he will be too old to play Tony Stark, given movie can’t be released until 2020. RDJ wants Mel Gibson to direct it, only then will he play Tony Stark again. Marvel is looking for a young IronMan, may be the kid from Iron Man 3 movie. RDJ wants a huge salary and the production house are negotiating. In comics timeline, the life of Tony Stark collapses when he came to know that Howard Stark wasn’t his real father, Rhodey / War Machine is dead, Starks Industries is bankrupt, and several members of Avengers don’t trust him anymore, especially Captain Marvel. So, there are speculations that Riri Williams who will take over the IronMan mantle in Marvel comics may be introduced in IronMan 4. She is based on young and beautiful actress Skai Jackson. Williams is a black teenager who went to MIT on a scholarship at 15. There, she reverse-engineered the Ironman suit in her room. She came to the attention of Tony Stark through an AI. Marvel revealed that Williams as a superhero will be known as Ironheart. However, one report said that IronMan 4 will start production and Downey will return to reprise his role. Marvel President Kevin Feige has indicated towards a new actor to play the iconic role. The possible Iron Man 4 release date is in 2020. As of now, Downey is too busy with Sherlock Holmes sequel that he can’t commit anything at this point of time. Marvel has previously shared the Phase 3 movie lineup, but this particular sequel was nowhere to be seen. The Ant-Man & the Wasp and Black Panther are slated to release in 2018, Captain Marvel in 2019, three unknown titles in 2020. One of them could be the sequel. For now, Downey is engaged in Sherlock Holmes 3 (unknown release), Avengers: Infinity War (2018), and Avengers 4 (2019). In August 2017, District 9’s director Neill Blomkamp showed his interest to direct the IronMan 4, if it ever happens. Stay tuned to TheReporterTimes for iron man 4 release date and more updates.